Before visiting a temples or a palace in Thailand make sure you have the right clothing. 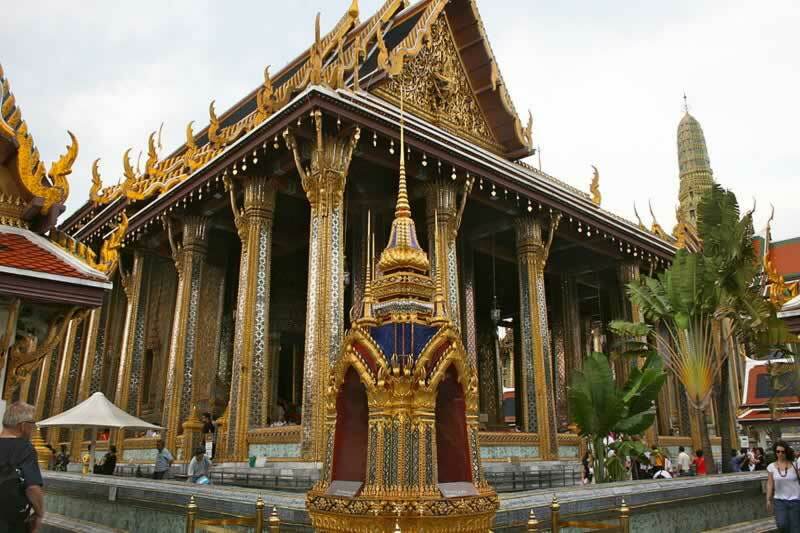 Especially important for a visit at the Royal Palace, which can cost you an hour to get a sarong and then need to queue up again to give it back. Do not wear the below cloth and you good to go. Short skirts & shorts or even shortened trousers (you should always wear full length or at least covering the knees). Skirts that fall below the knee are permitted. Clothing that has holes in, such as ripped jeans etc. Vests or any kind of top without sleeves. Perhaps unexpectedly you can wear sandals and flip-flops (in a suitable design). However it’s best to wear light full shoes for comfort when you’re walking around during a Sightseeing Tour. Wear light cloth with long sleeves and long trousers or skirts. In case you prefer to wear short, simply bring a Sarong, which always fits in a your bag. Not sure what to wear? Contact Us now!